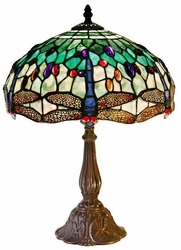 Add charm to a dark corner with this Tiffany art glass table lamp. 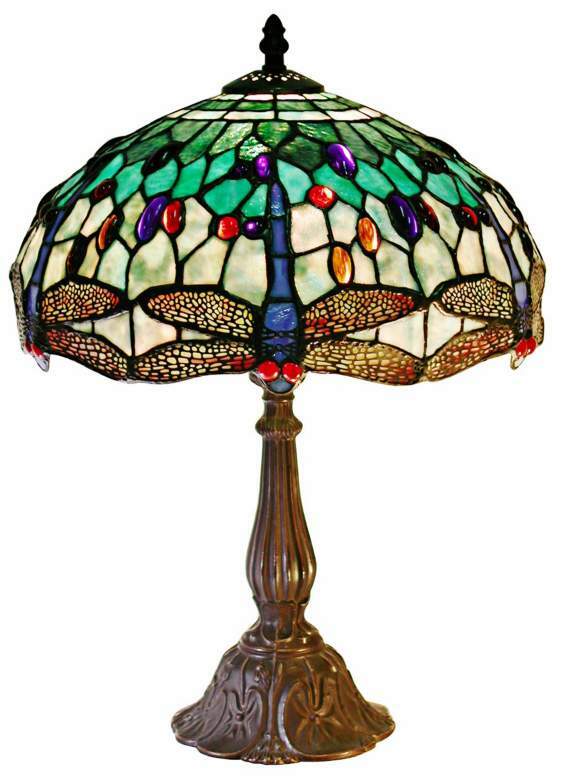 Handcrafted using techniques developed by Louis Comfort Tiffany, this table lamp is a stunning upgrade for your decor. This striking Tiffany inspired table lamp features a dragonfly motif in more than 100 pieces of colorful hand-cut glass accented by 72 "jewels". An elegant bronze finish base forms a stylish foundation. • Shade is 12" wide.